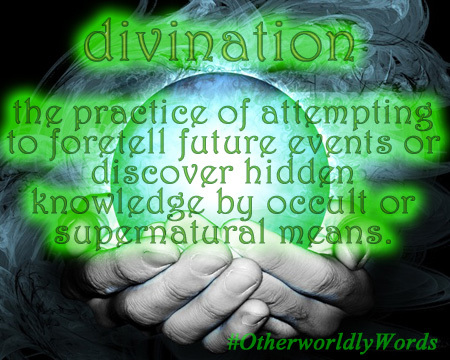 Wishing to see the future, or divination, is a long sought-after talent. Whether that talent is a gift or a curse is still up to debate. Certainly, many of us would love the ability to see lottery numbers or stop the death of a beloved. Yet, in most tales of foresight, the moral often lies in the unseen consequences. I’ve always thought of this moral as more a reflection of our own flawed humanity than a reflection of the gift itself. So often, we fail to see the big picture. We become so doggedly determined that we sometimes cannot see the consequences of our actions. For centuries, fortunetellers and psychics have claimed to guide us into the future. Perhaps they use foresight, or perhaps their gift is an ability to craft phrases that we read our own desperate meaning into. Nonetheless, by planting the seed, maybe they help us create the future we dream of. In the end, what we need to realize as humans is that the future— seen or unseen—-is a fragile gift and a responsibility that we all share and a reality we all create with today’s actions.